W-9 Form: Fillable, Printable, Download Free. 2018 Instructions. 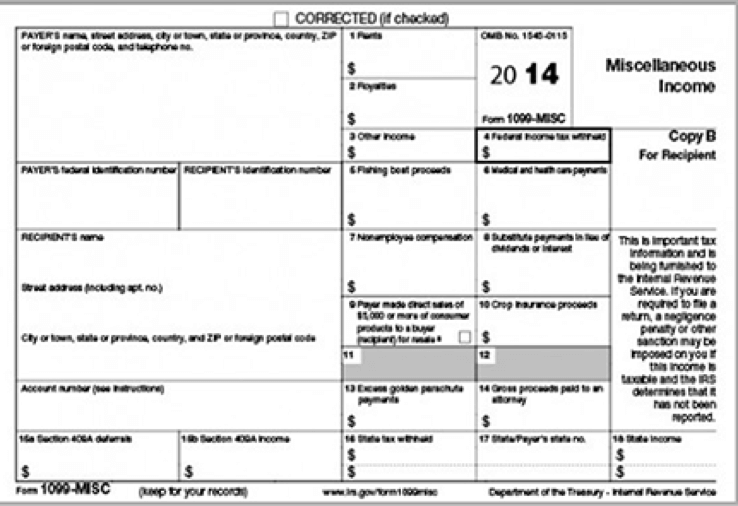 A W-9 form is used for tax filing purposes. This form is used to get information from a person who you may be hiring or an independent contractor you are planning on using. How does a W9 relate to freelancers? Where can I find related tax forms? How can I download & print a W-9? The W-9, or Request for Taxpayer Identification Number and Certification form, provides a business with important personal information about an independent contractor (IC) or freelancer for tax purposes in the United States. The form asks for information such as the IC's name, address, social security number (SSN), and more. The information is used to generate a form 1099-MISC. The form W-9 is an important tool for employers to gather information about contractors for income tax purposes. Verifying the information on this form and keeping it up-to-date ensures you collected accurate personal information. Form W-9 should be reviewed and updated yearly. However, if a contractor provides you with an updated address or a name change, those changes may be recorded for use. The information on this form should be retained by the business for several years. It should not be sent in to the Internal Revenue Service. Remember that it is a tool to gather specific information that a business needs to complete a 1099 if the contractor earn more than a certain amount during the tax year. You've already learned a little about the information requested on a W-9. There's one more very important thing you should know. The IRS W-9 form certifies that the TIN (taxpayer identification number) given is correct (or that the person is waiting for a number to be issued), that the person is not subject to backup withholding, or that the person is exempt from backup withholding because they are an exempt payee. This tax document may be found online on the IRS website: www.irs.gov. When you're asked to fill-in a W-9, you should complete the required fields. You may find that not all of the fields apply to you and your situation. For example, if you're self-employed and you haven't incorporated your business, you wouldn't provide a business name. Let's get familiar with the fields (fillable parts) contained in IRS Form W-9. Although you can provide the required information to the requesting party without a W-9, there's really no reason to forgo the IRS form since it is free and easy to find online. We're going to use that form to cover the fields of requested information. At the top of the IRS W-9, under the words "Request for Taxpayer Identification Number and Certification," you will find a field for the recipient to write or type their full legal name. Directly underneath the name field, there is the business name field; individuals who work under their own name may disregard this field. So, if you own a sole proprietorship, you would not fill this in unless your business name doesn't match your legal name. Under the business name field, is a large box containing a number of checkboxes. This box is the federal tax classification field. Despite its size, it's quite possibly the easiest field to complete because it requires the recipient to check the box that applies to them. For many, this will mean checking the box that says, "Individual/sole proprietor." If you haven't gone through the legal process of incorporating your business, you are an individual or sole proprietor. If you filled out documents or paid another business to fill out documents to file with a Secretary of State that made your business into an LLC, LLP, partnership (even if you have a silent partner), corporation, or other legal entity, you would check the box that best describes the formation of your business. Next is the exemptions field. This field isn't required by every person who completes the form. Read the codes and determine if they apply. The purpose of this exemption field is to determine if the recipient is exempt from backup withholding and / or FATCA reporting. Next you will find the fields that hold the recipient's business and contact information. Box 5 is for the address. Box 6 is for the city, state, and zip code. Box 7 is an optional field below for any account number(s) that helps the two parties identify the purpose of the W-9. To the right of those boxes you'll find an unnumbered box. It is a space to place the requester's name and address. It, too, is an optional box. The final fields are located at the bottom of the field.They are the taxpayer identification number (TIN) field and the certification field. You will enter your TIN in the provided space. You can use either your SSN or other assigned tax number. You may use an employer identification number (EIN) if you have one. The last fillable field, which is the certification field, requires the recipient's signature and the date on which the IRS W-9 form is being signed. Make sure that you read the certification carefully because you're swearing that the information you're providing is true and correct to the best of your knowledge. Failure to provide accurate information can result in serious legal consequences regardless of whether you're a limited liability company (or any other legal business entity) or an individual. If you violate the Internal Revenue Code, you could face prosecution, fines, and even imprisonment. In Box 1, enter your name as it appears on your income tax return. Do not leave this line blank. It is not optional even if you're a business entity. Enter your business name if it is different than what you entered in Box 1. So, for example, if your name is Joe Smith and you don't have a separate business entity, you would leave this line blank. However, if your business name was Smith Content Creation Services, Inc., you'd place that name in Box 2. If you are an individual without a legally formed business, a sole proprietor, or a single member LLC, place a check mark in the first box. If you're a C Corporation, check the second box. If you're an S Corporation, check the appropriate box. If you're part of a Partnership or Trust / Estate, choose the appropriate box. You'll also notice that there's another check box for LLC. It is used if you have a special designation associated with your LLC such as C Corp, S-Corp, or Partnership tax status. Do not use this box if you are a single member LLC. Finally, you'll see a checkbox for Other. The instructions provided by the IRS should be consulted. This box won't apply to most individuals as long as they can identify their status through one of the other check boxes. In Box 4, you'll list the proper code (found in the instructions) to use if you're exempt from backup withholding or subject to FATCA. For example, a U.S. government agency is exempt as a payee as are corporations and dealers in securities. In Box 5, enter your address. This includes any apartment number, lot number, or suite number. In Box 6, fill in the city, state, and zip code for the address from Box 5. There are two boxes in this section. The first one is for a SSN. It is the most common form of TIN. If you're a sole proprietor, you probably conduct business under your social. The second box is for an EIN. If you have one, you can use it instead. However, you do not need to enter your SSN if you use an EIN. Double check that you're providing the correct TIN. Carefully read the certification before you sign it. Your signature promises the government that everything listed on the form is true to your knowledge. If you provide false information, you could face serious legal ramifications. Remember, the form should not be sent to the IRS. Too many words, too little time? Check out The Essential Tax Guide for Freelancers and try out our Online Tax Forms. The last decade has witnessed an explosion of independent contractors in the US labor force. New personal technologies allow folks to connect with people who need a lift or place to stay for the night, for example. While ridesharing companies like Uber and Lyft certainly did not inaugurate the "Gig Economy," the meteoric rise of these and similar companies mark a fundamental shift in the American economy and its workforce. Freelance work offers flexible hours and the ability to work from home. In exchange, companies shed many of the costs of a full-time employee-health and unemployment insurance, retirement benefits, salaried pay, paid vacations, etc. 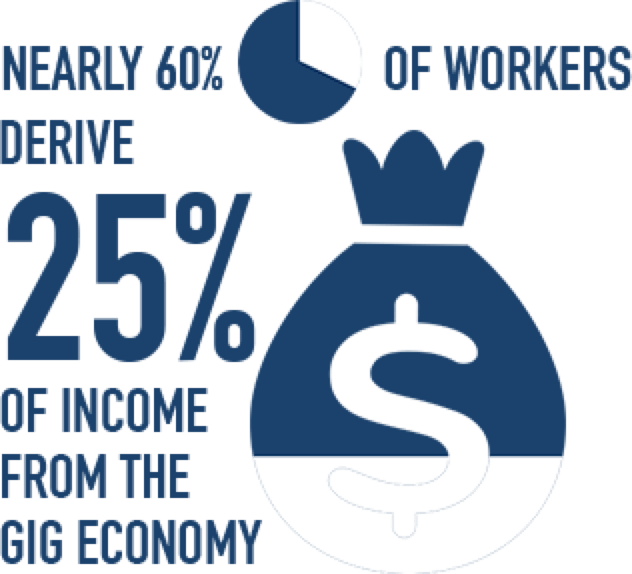 The independent contractors that comprise this growing sector of our country's labor force work in a variety of industries and across all levels of the corporate hierarchy. While ridesharing drivers dominate news headlines, there are also, for example, legions of Ivy-League-educated consultants drawing six-figure salaries working remotely on a per-contract basis throughout the globe. Even within industries, wages and benefits among freelancers vary significantly. For example, a recent study found that the hourly rate of Uber drivers ranges from $15-$53 per hour. Emerging legal challenges have called into question the legality of how some companies classify and compensate independent contractors. Most notably, Uber is currently appealing a decision issued by the California Labor Commissioner's Office that established Uber drivers as employees, rather than independent contractors. Should the ruling stand, Uber, which "employs" less than 1,000 people but "contracts" with around 200,000 drivers, could see its overhead rise by an estimated $4.1 billion, annually. Similarly, courts have found several other companies hiring independent contractors liable in a host of other violations including insufficient wages. As such, attitudes toward the gig economy remain highly ambivalent. For every corporation or contractors praising the flexibility of contract work, the lawsuits of others suggest little more than worker exploitation. And it is undeniable that corporations increasingly turning to contract workers do so first and foremost to increase profit margins. Despite the emerging challenges to the legality of the manner in which some companies compensate independent contractors, as mentioned above the Gig Economy is undeniably on the rise. Therefore, the purpose of this guide is to help contract workers maximize their opportunities in the Gig Economy and protect their earnings. While some freelancers may very well win classification as full-time employees in the courts, this guide is your safety net, so that if you have to remain a freelancer long-term you can successfully navigate the Gig Economy and make a worthwhile living. The hourly rate of Uber drivers ranges from $15-$53 per hour. Just how dependent have workers become on freelancing? Recent data from researchers at Stanford University suggests that nearly 60% of workers derive at least 25% of their total income for the Gig Economy. Not only is the number of workers taking on freelance work on the rise, the Gig Economy has infiltrated virtually all sectors of the US economy. Here is an overview of what freelancing in a range of industries looks like. For each industry, we offer key strategies independent contractors pursue in order to optimize their careers in their given industry. While obviously different workers bring different priorities to their participation in the Gig Economy, we've focused our recommended strategies around a few core values we think most freelancer's share. Maximizing earning potential - Who doesn't want to make as much money as possible? Positioning oneself for stable and reliable employment - Generally speaking, freelancing offers workers flexibility in exchange for stability and employment benefits like health care. Yet, most freelancers live lives that require a certain degree of stability and reliability in order to, for example, pay the rent and other monthly bills. Therefore, it is essential that workers entering the Gig Economy familiarize themselves with ways other independent contractors in their industry establish stability in their careers. The Great Recession led to draconian budget cuts and hiring freezes at many of the nation's colleges and universities. As a result, thousands of newly minted PhDs are finishing graduate school and entering a dismal job market. With bills to pay and not enough tenure-track jobs to go around, many young academics are turning to the Gig Economy to provide the economic security no longer available in higher education. Last year, The Chronicle of Higher Education, academia's leading periodical, published Katie Rose Guest Pryal's, "A Manifesto for the Freelance Academic," detailing how new PhDs can successfully navigate the new realities of the academic market and "take some power back." 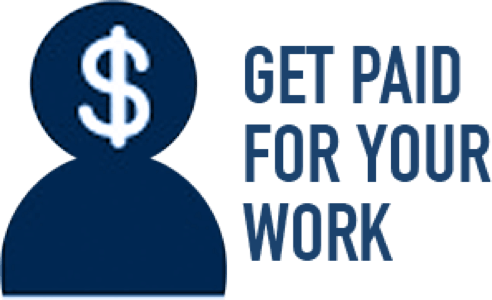 Get paid for your work - Academia is notorious for demanding young scholars to compete significant amounts of unpaid work--writing, editing, etc.--in order to earn promotions or employment within academia. Pryal says no more. Freelance academics must only take on work for which they are paid. Live in a place you love with the people you love - Given the distribution of institutions of higher education throughout the country, it was standard practice that new PhDs would move hundreds if not thousands of miles away from their home for their first job. The freelance academic therefore has the advantage of prioritizing location in ways unavailable to traditional academics. Stop applying to academic jobs - Applications for academic positions are incredibly labor intensive and costly. Given how unlikely candidates are to earn those positions in the current academic climate, freelance academics should focus their efforts on building a career in the Gig Economy. Remember that you are not alone - There are numerous resources to help build your career as a freelancer, and many other scholars doing the same thing. Build community, share resources and knowledge, and everybody wins. When you find yourself being lured back to your department for a temporary gig, remember: They're never going to let you in the club - A temporary job is just that: temporary. While it is easy to fool yourself into thinking that a temporary job will lead to a permanent one, the reality is that in academia it almost assuredly will not. As with #3 on this list, the key here is to focus on building a stable and secure career; part-time adjunct work is not the way to do so. The most important tool for freelancers in this field is their familiarity with various forms of media. It is essential, therefore, to use that knowledge and literacy to leverage various technology and media platforms--e.g. Facebook, Twitter, LinkedIn--to promote yourself and your work and build your own personal brand. Writers, photographers, designers, etc. worked as freelancers long before anyone coined the phrase, "Gig Economy." Yet, with a precipitous decline in what few stable jobs there were in various multimedia fields, workers in these industries have come to rely more heavily, if not entirely, on freelance work. More specifically, the Freelancers Union, which "promotes the interests of independent workers through advocacy, education, and services," advocated that workers in media fields market themselves as a resource, demonstrate the diversity of your interests and talents, maintain relationships with past clients, and always listen. Shea found that local newspapers hardly covered rap music (a topic he cared passionately for) and found various ways to leverage his knowledge of the music genre into paid labor and eventually national notoriety. Shea Serrano is one of the more impressive examples of successfully navigating the freelance economy as, in his case, a writer. Serrano has no formal training as a writer. He was a teacher that only began to write seriously in 2008 after his then pregnant wife was put on bedrest, forcing him to find additional work to supplement their income. He found work writing about popular culture--rap music, in particular--for a Houston Newspaper which led to a job at Grantland, which led, most recently to a New York Times Bestselling book entitled, The Rap Year Book. In an interview with GQ Magazine, Serrano, when asked about his start as a writer, explained that he literally Googled "work from home jobs" and "writer" was a common answer. He then found a need in that industry--local newspapers hardly covered rap music (a topic he cared passionately for)--and found various ways to leverage his knowledge of the music genre into paid labor and eventually national notoriety. Additionally, Serrano has taken the notion of personal brand building via technology, specifically Twitter, to heart; on Twitter, Serrano constantly interacts with fans in a lighthearted and personal manner, simultaneously increasing his personal brand of authenticity and his customer base of millennials who are constantly perusing social media during their workdays. 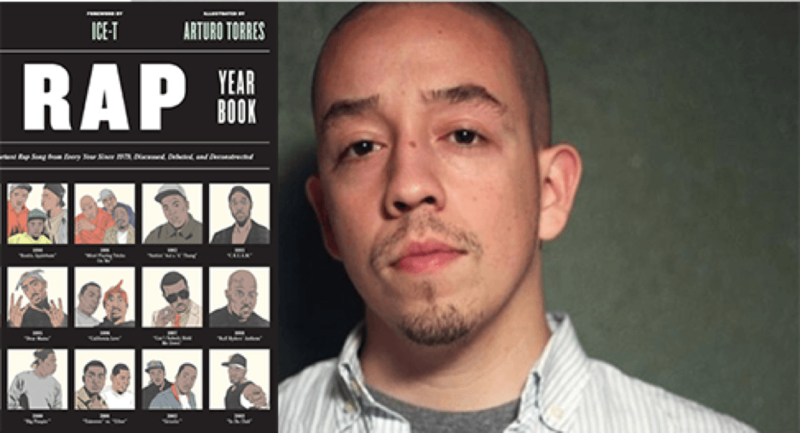 Serrano's personal brand building worked wonders during the launch of his most recent work, The Rap Year Book, in which he prompted his followers, through jokes, challenges and giveaways, to make the book number one on Amazon - a strategy that not only worked, but propelled the book to the New York Times Bestselling list, as aforementioned. In short, Serrano presents an example of how, regardless of education or professional training, freelancing can pay enormous dividends for those willing to dedicate their lives to crafting their passions into their professions. As with academia, community is imperative, and the internet provides the best resource to connect you with startups looking to hire freelancers, and other freelancers successfully navigating the startup world who can connect you with employment opportunities and help you build relationships that will bear fruit down the road. The Freelancers Union is also an important resource. 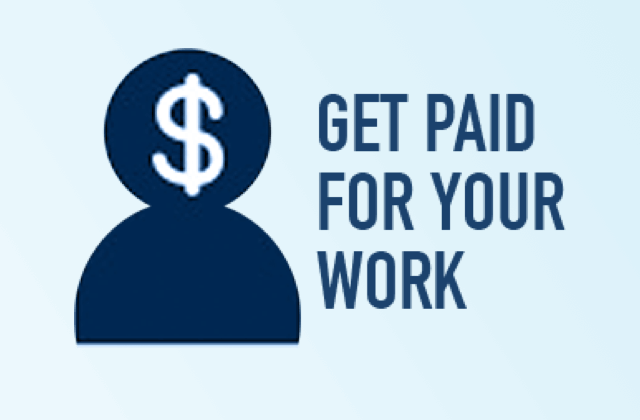 Joining the organization is not only free, but the union provides a variety of resources to help connect you with freelance work. They also offer health care benefits members can buy in to! 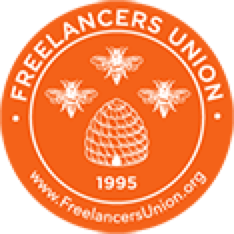 Moreover, the Union publishes a large amount of content on their website regarding securing freelance employment in fields tailored to their membership. The success of Kiip--a mobile phone app that enables companies to reward clients for virtual achievements--illustrates the entrepreneurial potential for freelancers to leverage their work into a major commercial success. Kiip was started in 2010 by a then nineteen year-old Brian Wong. Wong began his career as a freelancer, designing ads using Photoshop on his personal computer. His experience freelancing in digital advertising sparked ideas about how to improve mobile game advertising. Those ideas became Kipp, whose clientele now includes Disney, Carl's Jr, Kodak, PepsiCo, and Sony. The success of Kiip--a mobile phone app that enables companies to reward clients for virtual achievements--illustrates the entrepreneurial potential for freelancers to leverage their work into a major commercial success. As the above examples illustrate, freelancing combines a host of variables and considerations. Many of these are consistent across fields but many more are specific to your chosen field. What unites freelancers, in our view, is a desire to maximize your opportunities, strengthen your position in the Gig Economy, and connect with other freelancers and organizations in your field that will allow you to build community and networks that will grow your career. Freelancers are self-employed and therefore required to make quarterly tax payments, in addition to filing an annual tax return. What sorts of taxes are we talking about? 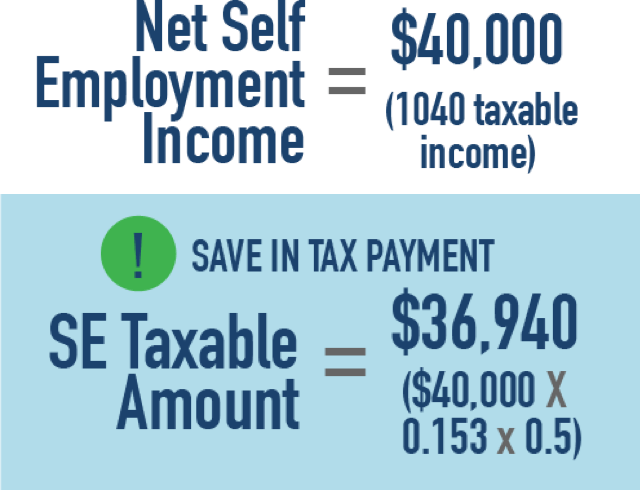 Self-employed workers have to pay two kinds of taxes: (1) Self-employed tax (SE Tax) - to cover Social Security and Medicare contributions, and (2) Income Tax. Are all self-employed workers subjected to taxation? How do I make my quarterly SE tax payments? You'll need to fill out a 1040-ES form in order to calculate the payment amount. Remember, the quarterly SE tax payments covers the Social Security and Medicare portions of your tax obligations. Your annual tax return covers the income tax bill. What form do I use and how do I file my annual return? Depending on the nature of your contracting and self-employment, you'll fill out a 1040 form. What about 1099s? 1099 forms are sent by companies to contractors reflecting the payments the company made for contract work. They are not, however, documents independent contractors submit to the federal government. For example, an independent contractor who has done work with several companies throughout the year will receive a 1099 from each company. They will then fill out a single 1040, reflecting their total freelance income, and submit it to the government. Used to file tax with the IRS. Used by a company to reflect a miscellaneous expense to an individual (which is an earning to the individual for services or work done). 1099 form details are among the listed items. Used by a company to reflect a miscellaneous expense to an individual (which is an earning to the individual for services or work done). Does not include details of a 1040 form. 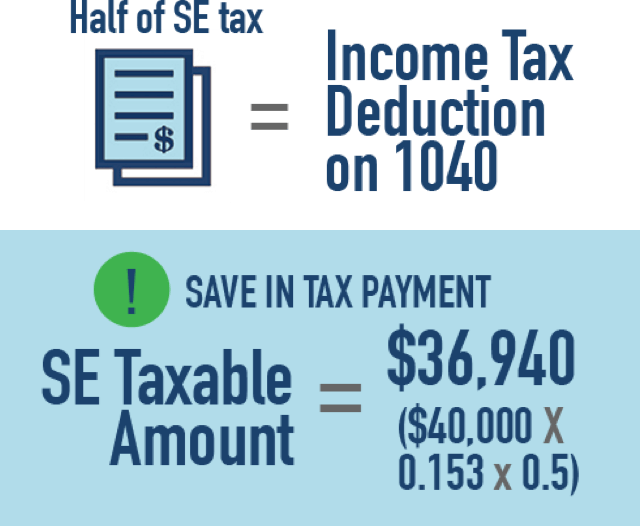 You can claim half of your SE tax obligation as an income tax deduction on your 1040. Follow this example for a $1,500 SE tax payment. Taking advantage of both of these deductions will insure that you minimize your tax burden and maximize your earning potential as a freelance worker. Who needs a W9 Form? It is a popular myth that contractors and freelancers don't have to pay taxes. Self-employment does not erase the requirement of filing a tax return. In fact, taxes for contractors are usually more complicated than the taxes of an employee. This is because employers withhold the proper taxes on behalf of the employee. ICs and freelancers are responsible for withholding (and paying) their own taxes. This guide addresses the first step of this process: the W-9. Here's a run-down of how it works for both the contractor and the business. Your client will ask you to complete and return a form W-9. On it, you will need to provide your full legal name, address, and TIN. Your TIN may be your social security number. If you have an EIN, you may use it provided that you also include the name of your business that's associated with it. Be sure and double-check all the information you provide for accuracy. One very important note: submit the finished W-9 to your client. Do not submit it to the IRS. If you earn over $600 from a client during the tax year, they use the W-9 information to complete a 1099. The 1099 is essentially a simplified W-2. It reports gross income earned from the named client. Remember, though, it is your responsibility to actually set the money aside for your taxes and for you to file them. It is ultimately your responsibility to determine through your records if you need a 1099 and to ask for one, if necessary. If you earn less than $600 during the tax year from a client, you won't need a 1099. However, you must still complete your taxes. Have each independent contractor or freelancer complete a W-9. This should be done as early as possible, ideally during the time of hire. If someone takes a long time to return the W-9, follow up with them. It's important that you get the form completed by the contractor every tax year you work with them so that the IRS doesn't have a missing form to use as a flag for auditing you. If you've hired someone who has little or no previous experience as an IC or freelancer, be sure that you explain the necessity of returning the completed form to you and not to the IRS. It can be confusing for those who are newly self-employed to handle tax forms. It's easy to understand why someone with little or no experience would think the IRS should receive the form. That's why it is important to remind the contractor to return the form to you. The IRS will not keep it on file on your behalf. If a contractor earns more than $600 from you during the tax year, you'll need to report their income using a 1099 form. 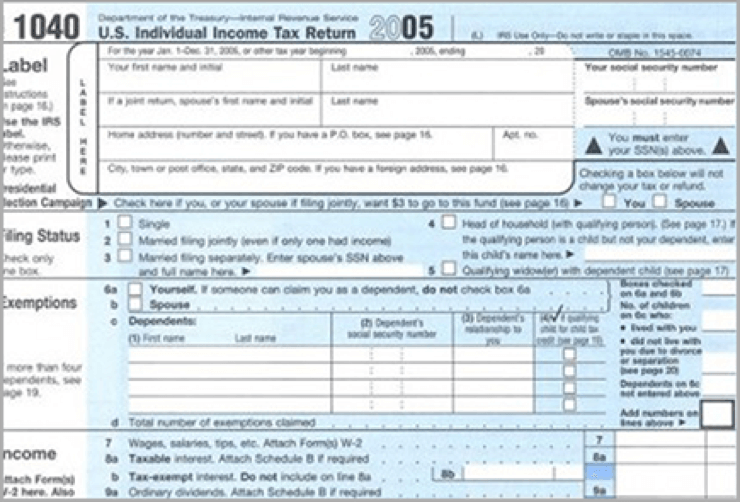 You can download one of these from the IRS website and fill out the 1099 using the information provided in the W-9. This is not optional. Submit one copy of the 1099 to the IRS and one copy to the contractor. The contractor needs the 1099 so that they may complete their taxes. W-9s are not used by individuals involved in an employer-employee relationship. Instead, a form W-4 and W-2 should be used. The W-4 is completed at the beginning of the relationship. It can also be updated, if necessary. Then, at the end of each tax year, the employer will use the information from the W-4, along with records related to payroll, to assemble a W-2. The W-2 is then provided to the employee for their taxes. A W-9 may be used by a financial institution to gather specific information about their customers. This is done when the institution will pay out dividends or interest to the customer. Remember that a W-9 requests certain information, including their legal name and / or business name, TIN, specific exemptions, an address, and the recipient's tax classification (i.e., individual or a legal entity status). Much of this information is requested when customers open an account. A customer may check with the institution to find out exactly which piece of information needed that wasn't provided at the time their account was opened and provide the missing information. The final use of a W-9 is to avoid backup withholding. If the business, client, or financial institution asking for the W-9 to be completed must report certain payments to the IRS (generally, this is certain withholding taxes), a W-9 may be used by the self-employed individual as a certification that they are not subject to backup withholding. Justin Gomer is a Lecturer at the University of California, Berkeley, and soon-to-be author of two books. Jackson Hille is a Content Associate at FormSwift and the 2013-14 Departmental Citation Recipient in American Studies from the University of California, Berkeley. They also authored The Essential Guide to SWOT Analysis teaching, preparing, and providing you with all the necessary tools to become a SWOT expert. It is valuable for everyone, including creatives in the startup and entertainment worlds, policy planners in the non-profit and government sectors, and entrepreneurs in the real estate and restaurant industries. FormSwift also offers a complete suite of tax forms for businesses, including w2, 1099-misc, 1099-int, w9, and pay stubs. These tax forms can be filled out with our easy to use pdf editor, and are updated to the latest version every year.